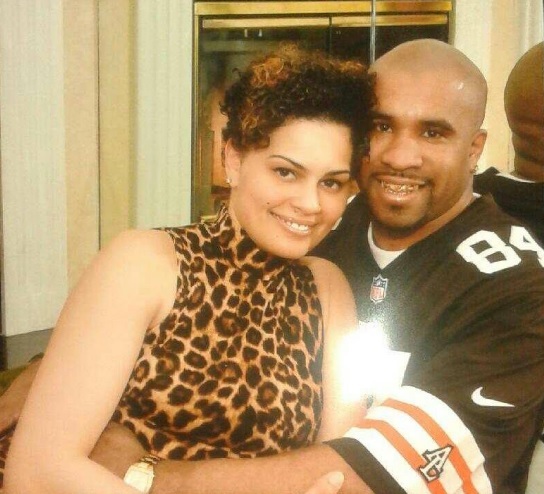 Following Cora’s killing by the evil Terry , it was easy to conclude he is a murderer who was very guilty of the horrible injustice to Cora and her children . 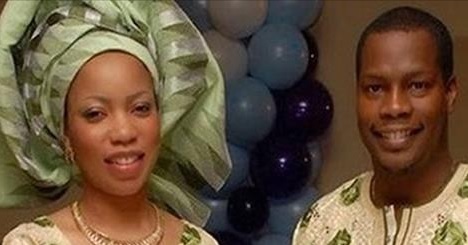 How about Adeyinka, murdered by his wife Temitope? Ahn ahn now, she killed her husband with juju in her eyes after years of suffering. Or didn’t she? See a post written by Olanike alexia. Worth reading! “I feel terribly sad right now. I hardly wear my heart on my sleeves as it concerns Facebook but this is different. ” Ehn is it that one?” I mentioned a name. “No, not that one. The one that I attended the same church with that went to Nigeria for almost a year”. I didn’t quite remember until she mentioned a few more sorry incidences. “Anyway, that’s the girl that killed her husband in Delaware”. “Ah! I remember now. Yeeee!!!. Oun ni, she’s the same person. Ah! !o ti pa? She has killed him? Jesu! !” I exclaimed. ” The girl I saw in the picture looked like what we call “asa” in yoruba” I continued. “Not look. She is an asa”. Asa meaning uncultured and tacky. We discussed as we both kept lamenting. My friend had shed her fair share of tears and planning to attend the guy’s memorial service. I plead with you brothers(and sisters) in abusive relationships to get out as soon as possible. My friend, knowing this family first hand spoke of the abuse this unemployed lady had subjected her husband to over the years. In the USA, she had a personal driver and nanny even though she doesn’t work. Her late husband had his chain of pharmacies and provided all that she needed even though she regularly disappeared for months to Nigeria. She had attacked him to the point of profuse bleeding in the past but he stuck by it. I kept screaming ” nibo lo ti ri iyawo osi bayi, where did he hook this kind of a horrible wife from?”. His parents had insisted on marrying him a wife from back home even though he was raised from childhood in America. His mum saw a OND holder girl in the church choir and believed that she’d make a good wife for her doctorate degree holder son. There are so many lessons here as sadness still envelopes my heart that this guy did not make it out alive. How wonderful it would have been if my friend called me to say “Nike, you know that crazy girl from my church I told you about? She attempted murder on her husband, Yinka , but we thank God he survived again. She said the guy never cheated on her neither did he physically abuse her. The reverse was actually the case. 1)Those men based abroad who believe that virtuous women only abound in their villages/ hometown need to watch it. Most of you will do well to find wives under your watches abroad. Ladies who won’t pretend to be something else are around you. Some of those home girls are fake; with multiple boyfriends around. I had heard of this murderer girl’s sexscapades years ago. Men seem to find it more difficult to admit that they have abusive wives especially when they are not violent themselves. You are not weak in speaking out and seeking for help. It means that you know there is an issue that needs fixing. A woman that loves you won’t hit you in the face, won’t throw things at you neither will she abandon you at will with the children for months. Love doesn’t hurt! Parents could advise and indeed do advise on a marital choice but they can’t determine what is ideal for you. Imagine an American raised guy with a tacky razz girl from one hinterland in Nigeria! Recipe for disaster. No be by force to stay married if your life is at stake. Forget what people will say. I couldn’t believe that with prior stories I had heard of this girl, the husband could trust her enough to sleep under the same roof. May Dr Adebamiro’s soul rest in peace. There are nasty babes out there. BB Buzz: I’D HEARD ABOUT MRS TEMITOPE ADEBAMIRO’s ALLEGED SEXSCAPADES YEARS AGO!